Steve Chou and his wife started an online business that allowed his wife to quit her job. Before long, Steve’s own blog also became a success. Eventually, he left his full-time job, and today both businesses have become highly successful. 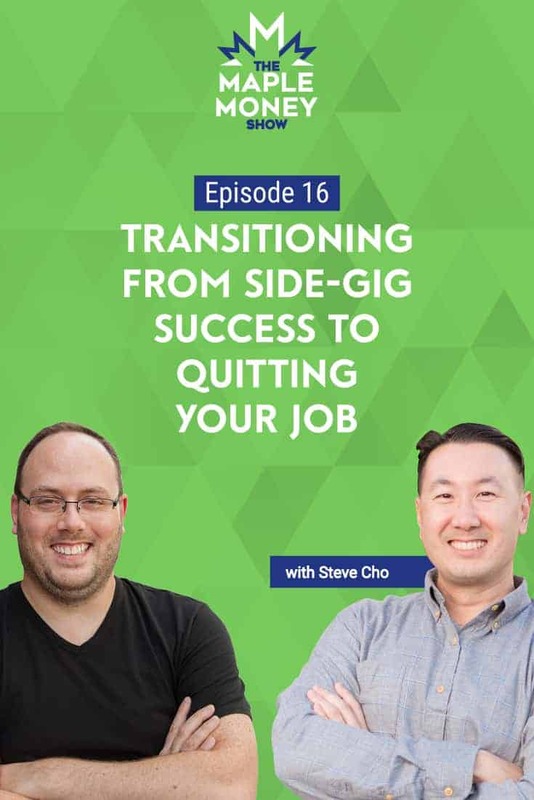 In this episode, Steve explains why he stayed at his full-time job as long as he did, and provides some advice for anyone wanting to start an online business or convert their side hustle to a full-time gig. Find out why Steve doesn’t recommend quitting your job to start a business, and why he thinks your online business needs to sell something. Did you know? Our sponsor, Wealthsimple, offers a free review of your investment portfolio. They’ll help you set financial goals, suggest ways to lower your investment fees, and the amount of tax you pay. Head over to Wealthsimple to get started today! Steve explains how his wife’s tears led to their first business launch. How Steve and his wife replaced her six-figure income in a year. Blogging is the wrong business model if you want to make money fast. Why your online business needs to sell something. Why you shouldn’t quit your job when you start your business. Steve takes us through the many businesses he owns today.